A country that’s been ostracized for over three decades, in part with good reason, will now have a path to becoming a more ‘regular’ state in its relations with the rest of the world, including the United States. That’s probably as it should be for a country of 77.5 million people with a rich culture. The end of the crippling international sanctions was the defining goal of Iranian president Hassan Rowhani’s campaign in June 2013, and it’s what delivered him to a landslide, first-round victory. Iran’s economy has tanked under the weight of the UN sanctions, with GDP per capita dropping from around $7,000 in 2011 to under $4,700 in 2013. Though the deal alone won’t effect a magical turnaround (especially with global oil prices still subdued), it’s an important first step to repairing the economy. The deal isn’t a panacea, and Iran and the United States are still more enemies than allies (despite their mutual interest in a stable Iraq and growing conversations between Obama and Rowhani), but bilateral relations between the two countries since 1979 have always been more complex than the more facile rhetoric of hardline leaders in both Iran and the United States. Rowhani was allowed to contest the 2013 elections because he had the profile of a president who could effect the kind of nuclear energy deal agreed today but who also lacked the kind of standing of former president Hashemi Rafsanjani, who could have been too much of a threat to Iran’s supreme leader, Ali Khamenei and who was not permitted to run in the presidential election. In Iran’s political system, it’s Khamenei, the supreme leader, who wields more power than Rowhani, the president. 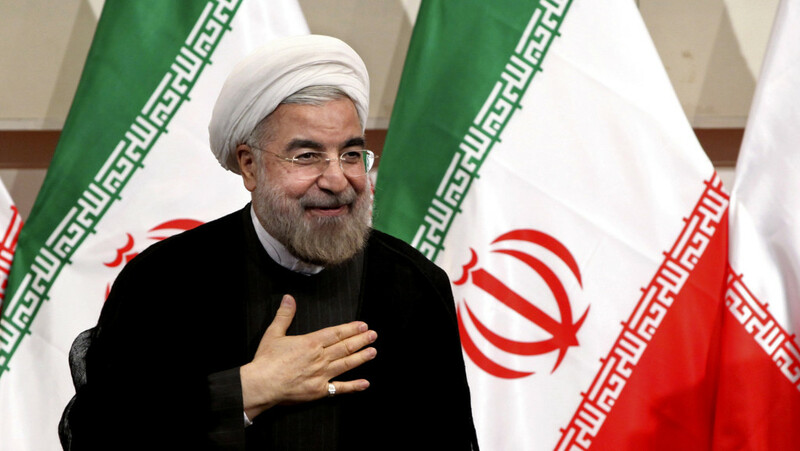 But a successful deal gives Rowhani much more credibility. If his administration follows up with successful economic reforms and economic expansion, Rowhani and his reformers will have the political capital, potentially, to liberalize Iran’s political and cultural life. That’s especially true if something happens to the 75-year-old Khamenei. His potential successor at supreme leader will lack the standing that Khamenei has now, potentially giving Rowhani and the reformers an upper hand. 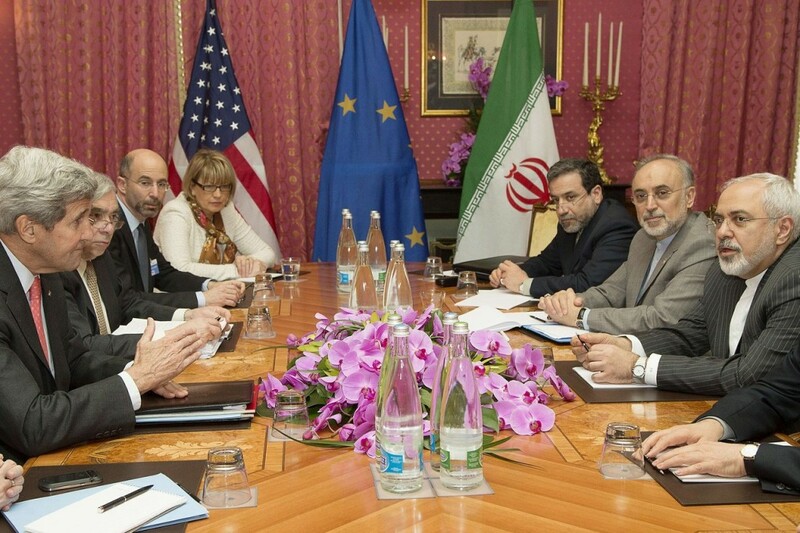 The nuclear deal, however, was always the prerequisite. Photo credit to Brian Snyder/AFP/Getty. Certainly, the Iran deal ranks among Kerry’s top accomplishments as secretary of state — and in a career that stretches back decades in the US senate as well. Though opponents of the Obama administration snark about its Middle East policy, the brutal reality is that the United States has never had friends or permanent allies in the region, it’s had conditional allies based on US national interests. For decades, those interests have been guided by one thing — stabilizing world oil prices at (relatively) affordable prices. As the United States re-assesses its national interest in the region as it becomes more self-reliant from new and existing energy sources, its strategy has necessary changed to a more sophisticated issue-by-issue analysis. That leaves room for ambiguity and inconsistency, yes, but a deal will also keep the United States out of the danger of launching yet another war in a region of dwindling importance to US national interests. That’s a huge victory for Kerry, who began his career as a prominent veteran protesting the Vietnam War. Has anyone had such a steep learning curve in foreign affairs, consistently rising to the challenge? 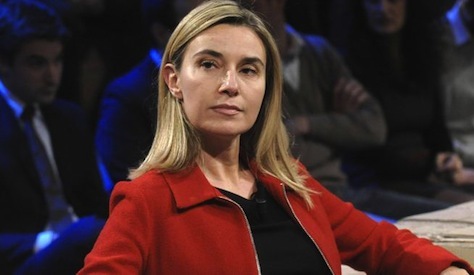 Fourteen months ago, no one had heard of Mogherini, a policy adviser to the Partito Democratico (PD, Democratic Party), Italy’s center-left party. Italian prime minister Matteo Renzi replaced the widely respected foreign minister Emma Bonino with Mogherini in February 2014, and she asserted a more confident Italian foreign policy on everything from Iran to Russia/Ukraine to Libya and sub-Saharan Africa. Mogherini’s rise was so impressive that she was appointed as the European Commission’s high representative for foreign affairs late last year, making her, in effect, Europe’s top diplomat, and she played a key role in bringing together US and Iranian negotiators, stretching back to her days as Italian foreign minister. Though the deal isn’t complete, and it won’t satisfy a lot of Iran’s skeptics, it’s the clearest victory for diplomacy in the 13 years since former US president George W. Bush placed Iran on a list of three countries constituting an ‘axis of evil.’ Even if a Republican president wins the White House in 2016, the deal will make it more difficult for neoconservatives in the United States to push for military action in Iran. Moreover, a successful deal will have involved (i) further cooperation between the United States and China at a time when China’s economy is displacing the US economy as the world’s largest, (ii) further cooperation between the United States and Russia when relations between the two are worse than at any time since the Cold War and (iii) lays the groundwork for building trust for future diplomatic work between the United States and Iran, including the potential resumption of normalized relations between Tehran and Washington. Who ‘loses’ with the deal? For decades, the Saudi kingdom had depended on Iraq’s intransigence and/or chaos and Iran’s rupture with the United States. That left US policymakers little choice but to business with the Saudis, an often repressive monarchy that’s fostered a tense centuries-long partnership with the proponents of Wahhabism, a relatively hardline sect of Sunni Islam. The Iran deal is a wake-up call that the United States can now choose from several key players in the Middle East to achieve its national interest on any given issue. Tension between Saudi Arabia and Iran was already on the rise as the two countries continue to play out a cold ‘Sunni-Shiite’ civil war in the region, in Iraq, Lebanon, Syria and now in Yemen. But it’s not necessarily clear that the United States needs to take a stand in every dispute in every corner of the Middle East, especially when both Sunni and Shiite allies have committed human rights violations. Netanyahu famously compared Iran to a ‘nuclear duck’ three years ago, and he’s perhaps the most vocal opponent of a deal that permits Iran to continue to enrich uranium. 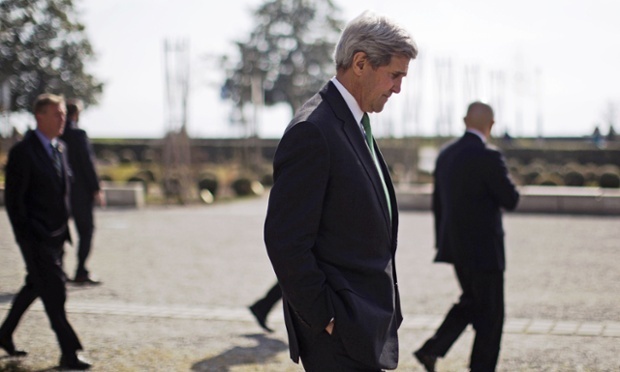 His frenzied calls that a nuclear deal would threaten Israel’s existence have always seemed overwrought. 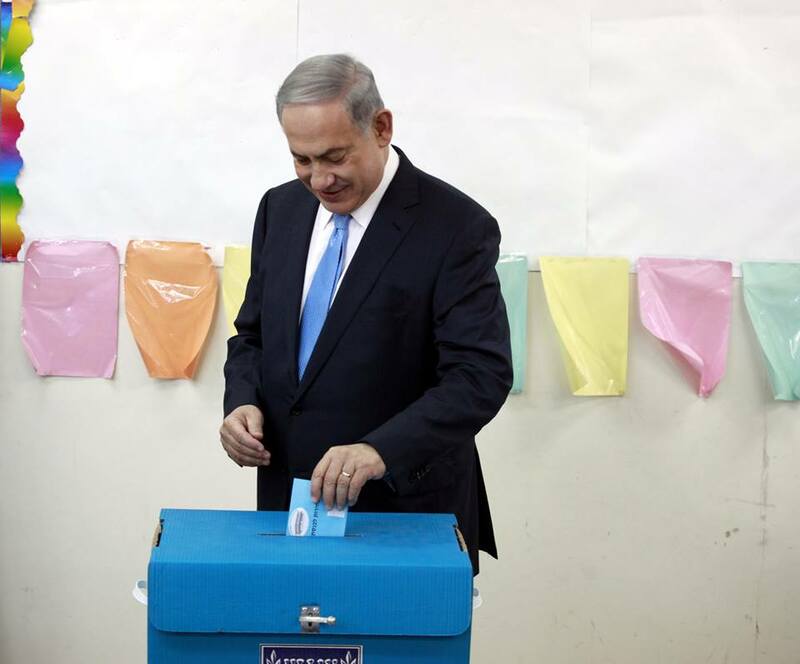 Nevertheless, he recently won reelection with an even stronger mandate, and he’ll be Israel’s prime minister for at least the next two to three years — so the United States will have to work to calm Netanyahu’s fears about the deal, lest he decide that Israel’s military should take unilateral action against Iran. The Republicans who control both houses of the US Congress can continue to cause plenty of trouble to try to derail the deal with Iran, but they can’t stop the Obama administration from voting to support the deal in the United Nations or halt the Obama administration from taking executive action to ease the deal’s implementation. It’s clear that, while the Obama administration and Iran aren’t necessarily friends, both Obama and Rowhani believe that there’s a space for mutual respect and cooperation. Neoconservatives first sounded alarms about a potential nuclear-armed Iran over a decade ago, and it hasn’t come to pass, thereby weakening their warnings. If, in another decade, a successful deal has also prevented the development of an Iranian nuclear program (a program that, by the way, even Khamenei says violates the tenets of Islam), it will make the deal’s opponents look incredibly foolish. Just a few years ago, Mahmoud Ahmadinejad was flying high in Iranian politics, a conservative hard-liner with a genuinely populist image based, in part, by spewing rank hatred against Israel and the Jewish people. Though Ahmadinejad no longer commands popularity, the leaders working with Khamenei are certainly wary of this deal — most of all, because it could give Rowhani some well-deserved credibility to push forward with greater reforms.